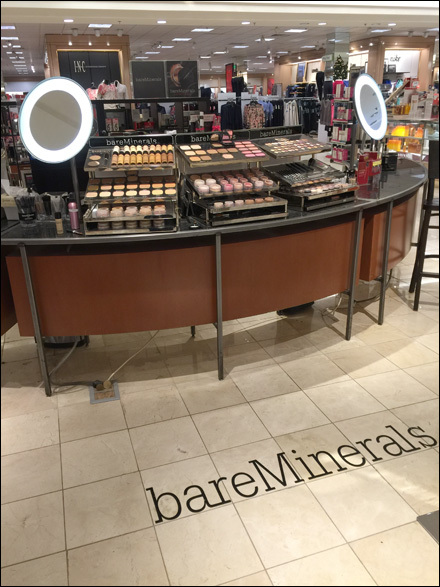 If all merchandise displayed is Bare Minerals® (Owned by Shiseido), it is surely wise to call attention with a Floor Graphic and any other devices possible. 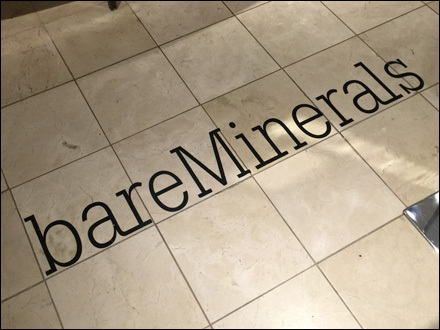 But if you own a valuable, well-known brand name like Bare Essentials, expanding across the cosmetics cosmos makes sense. Typography helps make the brand name distinctive in use. Interesting that the Floor Graphic does not include a trademark symbol, registered or otherwise.